Underground electrical systems are becoming wide-spread throughout the world. Performing work around pad-mounted transformers and switchgear requires that lineworkers be qualified in the skills to recognize energized parts. OSHA regulations stipulate training in the technical and safety practices to inspect and work on this type of equipment. 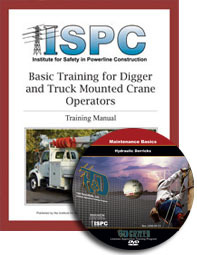 ISPC’s new training program helps you stay in compliance and includes a DVD/video, an Instructor’s Guide and Student Workbooks. 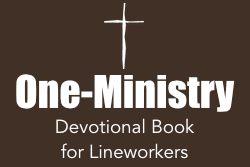 Training for Lineworkers who perform ‘live-line’ work needs to be both comprehensive and current. 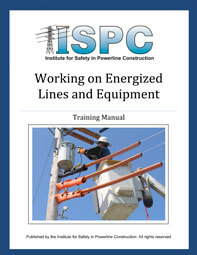 This new, 180 page Training Manual from ISPC uses the latest industry best practices, tools and equipment to explain and illustrate how to safely work on most energized systems. OSHA regulations pertaining to energized work are highlighted and explained in the language of the working lineman. 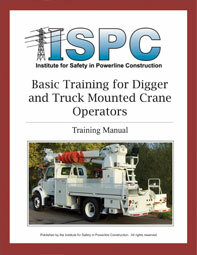 Includes a 50 questions knowledge test and 3 Field Performance Requirements skill checklists. Below is a list of titles available. Heat related injuries and illnesses are considered a hazard to powerline construction and maintenance workers. These types of hazards are often ignored until a worker is injured or becomes ill from the heat induced hazards. This Safety Meeting Topic covers how to identify and mitigate the hazards of heat related injuries. Arc flash is a serious hazard that can be devastating to those exposed to it. This training focuses on the requirements of NFPA 70E and includes major sections such as: Causes of an Electrical Arc, Working on Energized Equipment, Safety Protection Procedures and Flash Hazard Analysis. Includes sample hand-outs. Most Line Crews rely on large, DOT regulated trucks to get them from jobsite to jobsite and back to the yard at the end of the day. Accidents involving these large vehicles are rarely minor. This program highlights typical driving hazards and potentially dangerous conditions, the importance of inspecting and maintaining the vehicle and safe vehicle operations on the road. According to the Cellular Telecommunications & Internet Assoc., 175 million people in the U.S. use cell phones now, compared with 4.3 million just 15 years ago. Estimates suggest that cell phone users do over half their cell phone time while driving. This can be an especially dangerous distraction when driving a DOT rated vehicle on public roads. This unit teaches the dangers associated with cell phone use while driving and provides some important tips to drivers. Emergency Action Plans (EAP’s) are not just for workers in large plants. Mobile Line Crews should plan for emergencies too. In this program crew members will learn how to establish an EAP for each jobsite and tips on conducting an effective Pre-Job or ‘Tailgate’ meeting to communicate to all crew members what to do in an emergency. Hand tools are used extensively by Line Crew workers and are often overlooked when evaluating hazards in the workplace. When used properly, hand tools make the job easier and safer. When used improperly, hand tools can become the enemy. This program teaches proper hand tool use and how to avoid injury. Chemicals in the workplace can present a significant hazard if mishandled or accidentally discharged into the environment. This program deals with identifying chemicals in the workplace, interpreting warning labels, understanding Material Safety Data Sheets (MSDS’s) and how Line Crew workers can protect themselves and respond to emergencies, if they occur. An important part of any jobsite hazard assessment is then selecting the appropriate personal protective equipment (PPE) for the hazards identified. This program focuses on evaluating jobsite hazards with a view to protecting parts of the body that could be harmed. Then, various types of PPE are evaluated, with tips on how to select and use them effectively. Portable ladders are one of the handiest, simplest tools we use. Because of their common usage, many people fail to recognize the hazards associated with using ladders. Planning and care are required to use ladders safely. This unit reviews the different types of ladders, proper inspection, their operating limits and the safety practices associated with using ladders at work. When Line Crew workers de-energize lines and equipment to work on them, the hazard remains that the lines and equipment could be accidentally re-energized while the workers are in contact with them. 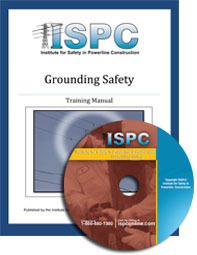 Personal protective grounding is a critically important safety practice, in these instances. This program describes and illustrates one approach, considered to be a very effective way to protect workers should lines and equipment accidentally become energized: the Equipotential Method. Troublemen and crew members are often expected to work in an around a customer’s property. Physical hazards may be encountered during these times, such as overgrown yards and lots, dogs or other animals and sometimes, the customers themselves. 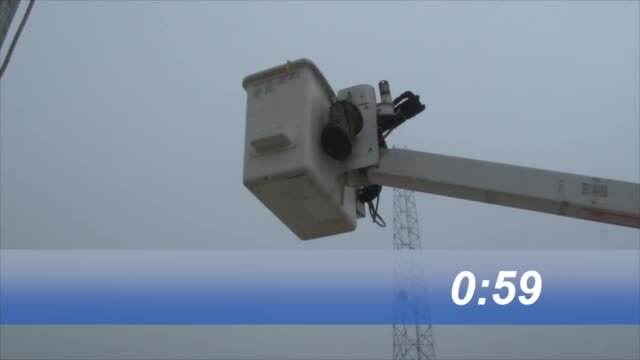 This video discusses some of the more common hazards lineworkers may encounter out in the community, doing their jobs, and how to prepare for and mitigate those hazards. 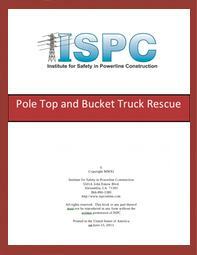 Each day, bucket trucks, diggers and pole trailers should be checked for operating and road hazard safety. This program provides a clear and easy way to train drivers and operators in their responsibilities to inspect their over-the-road vehicles. Full color pictures show what to look for and simple to understand language explains how to do it. Covering up energized lines and equipment properly is critical to keeping Line Crew workers safe when doing ‘hot’ work. Many accident investigations conclude that adequate cover-up could have prevented the injury or fatality that had occurred. This ‘Test’ is a series of illustrations of structures, lines and equipment and asks the student to draw in what should be covered and to what extent. A recommended ‘Answer Key’ is provided. 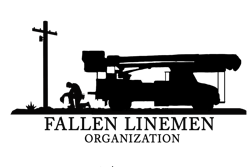 Federal regulations require that OSHA defined records be maintained for accidents, injuries and fatalities experienced by Line Crew workers on the job. This program describes those records and suggests what information is requested and how to record it properly. The U.S. Department of Labor says that slips, trips and falls account for the majority of general industry accidents, making up 15% of all accidental deaths and 17% of all disabling work injuries. This unit is designed to help the worker become more aware of slip, trip and falling hazards all around the work place and how to mitigate those hazards to lower the probability of becoming a victim to this most common of injuring incidents. Stand-by generators are being used more and more by businesses and residences after a storm or other emergency damages an electric system and knocks out power. 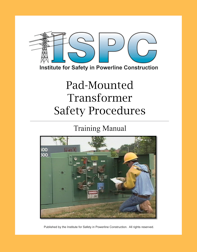 This program is designed to recognize hazards associated with adding a generation device to a facility that is currently connected to a power grid, how to avoid potential accidents and how to help protect lineworkers during outage repair situations. Current OSHA regulations require the use of a body harness while working from the aerial bucket of a bucket truck. The harness must also have a lanyard that is attached to a fixed point on the truck boom. This safety equipment provides an important level of fall protection for the worker in the bucket, but improper care, use, inspection and maintenance for the fall protection harness can compromise this safety factor. This Safety Meeting Topic discusses and illustrates how to properly use, inspect and maintain this important to maximize its safety features. In most jobsite trenching situations, OSHA requires what is known as a Competent Person to be on-site assisting with the safe development, use and maintenance of trenches as well as the protection of all workers in and around a trench. This program helps to train workers to fulfill the role of the Competent Person at the trenching jobsite. Work Zone Safety often requires the use of a qualified Flagger to help direct traffic and keep work zone workers safe. This program focuses on the Manual of Uniform Traffic Control Devices (MUTCD) guidelines in using Flaggers to enhance work zone safety. Forklifts are commonly used in areas frequented by Line Crew workers. Forklifts are potential hazards to workers in its proximity. This program helps those working around forklifts to recognize hazards that may not be apparent and provides some important tips to those workers on how to stay safe. Keeping the public and employees aware of electric system hazards is a full-time job. 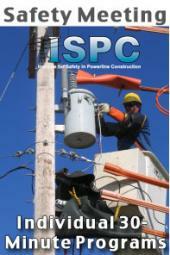 This new ISPC compact disc does the job for you by illustrating to utility employees, first responders, and consumers alike the tell-tale warning signs of hazardous conditions and how to report them to utilities. Free to Non-profit Organizations. Are you a non-profit organization? This program could be free to you.